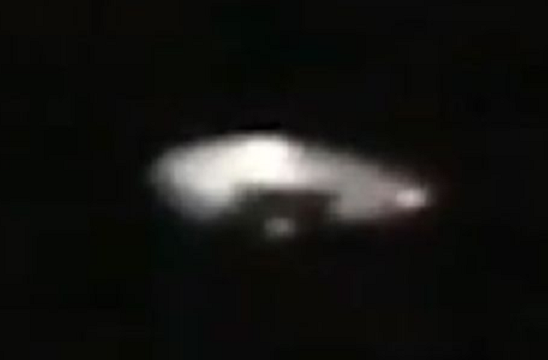 UFO SIGHTINGS DAILY: Star Wars Millennium Falcon UFO Caught On Video Flying Near New York, Sept 2016, Video, UFO Sighting News. Star Wars Millennium Falcon UFO Caught On Video Flying Near New York, Sept 2016, Video, UFO Sighting News. This is an excellent capture of a UFO over New York and has a lot of similarities to the Security Guard Video of a UFO over the sea in Turkey back in 2007. UFOs are no stranger to New Yorkers, but are actually seen ever few years. A couple captured the incredible footage of a UFO moving through the skies near New York. Bizarrely the mysterious object was a dead ringer for the Millennium Falcon from the Star Wars franchise. Shocked, they can be heard remarking in the clip “there is no way that is a plane, look at the shape of it, look how big it is”. The latest strange UFO sighting comes as an age-old book has been uncovered which features an illustration of a flying saucer on the cover. Experts have also warned UFO-linked aliens could be attacking the world”s livestock in a deranged bid to create animal-human hybrids. But the world”s questions about aliens could be set to be answered as NASA is poised to make a shocking announcement about alien life next week.